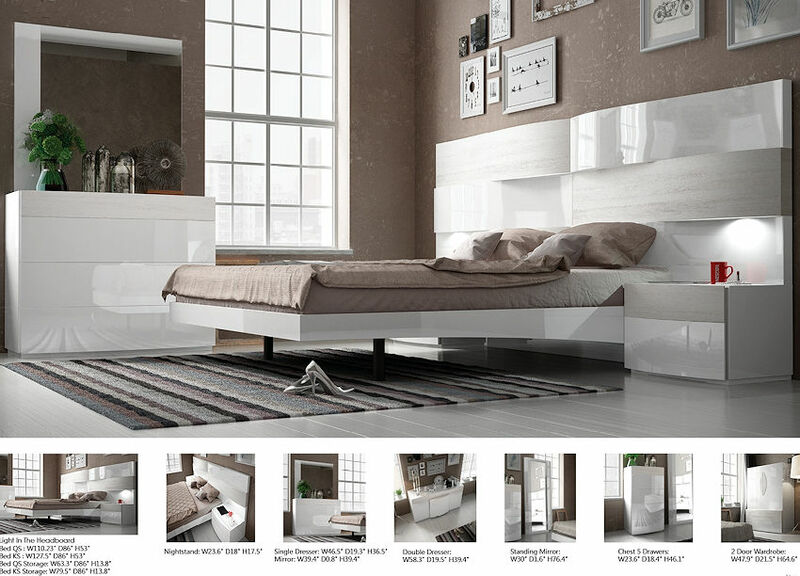 The Cordoba bedroom set in White lacquer finish with light Oak accents. Lighted headboard. $ 4,350 - Cordoba Queen Size lift-up bed with storage and two night stands. $ 5,350 - Cordoba King Size lift-up bed with storage and two night stands. 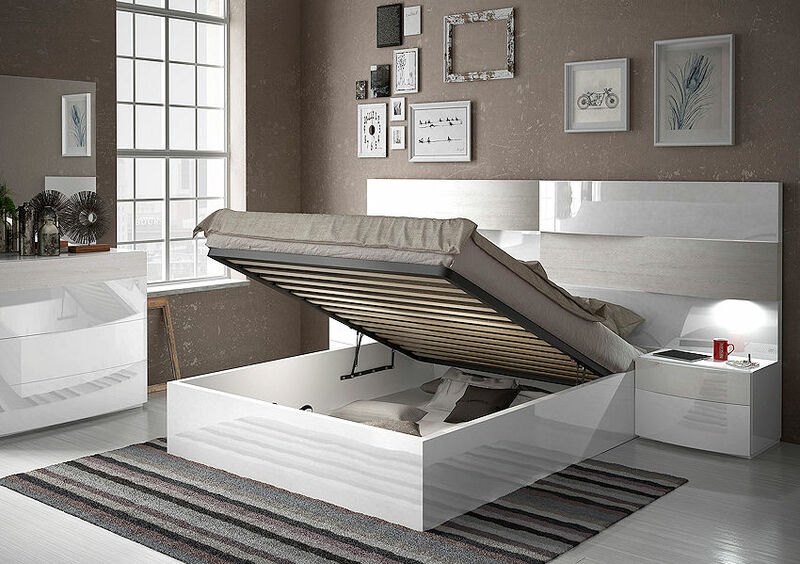 European lift-up storage bed or platform bed without storage.